The Falcons QB, 33, has a league MVP, a NFC title and a lucrative contract. All that's missing is a Lombardi trophy, and he says it's his No. 1 goal. In Wednesday's debut show of "Schooled" on ABC, a high school boy whose character is based on the Falcons QB tries to emulate Michael Jordan. Of all the teams who followed the Eagles' lead after their Super Bowl surprise, none was trickier in '18 than the team they'll face Sunday in Chicago. Atlanta's six-time Pro Bowler, who led the league this season in receiving yards, isn't caught up in the numbers -- and wants to be a Falcons "lifer." The Falcons waited a while, but offensive coordinator Steve Sarkisian finally pulled out some trickery in the season finale. The weekly routine for Atlanta's QB includes meticulous film work, a trait that brings comfort on game days and draws comparisons to Peyton Manning. Texans QB Deshaun Watson worked his late-game magic with two spectacular plays to put Houston in the lead in Philadelphia. Tom Brady and Drew Brees have become the poster QBs for playing past age 39, and the Falcons veteran, 33, says the older guys have motivated him. The Lions are 10 years into the Matthew Stafford era with no division titles and no playoff wins to show for a huge investment. Defensive coordinator Wink Martindale inspires the Ravens with his grit, wit and ability to relate to them via shoes. 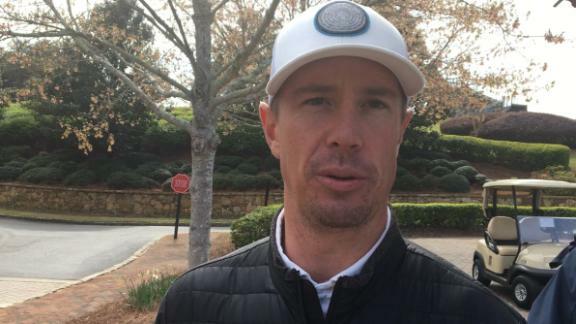 Can Matt Ryan play into his 40s?